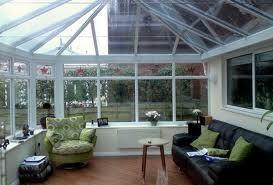 Adding a conservatory to your home significantly increases your living space. Whether as a kitchen, dining room or lounging area, a conservatory allows in lots of natural light, bringing an ambient and relaxing setting into your home. It can also bring the beauty of your garden into your home, especially if combined with a complementary patio area. The benefits of a conservatory are many. But whether you are building a new conservatory or rebuilding an existing one, it is important to be informed of the relevant planning permission and regulations before commencing work. New rules covering whether or not you can extend or add to your home without having to apply for conservatory planning permission for a conservatory came into force on 1 October 2008. The New limits and conditions for what is allowed without the need for planning permission apply largely to the dimensions of the proposed addition, its position on the house and its proximity to your boundaries. “Conservatories forward of the principal elevation or side elevation of the original house and fronting a highway are NOT permitted development.” Consequently, only side and rear conservatories are considered allowed development, forbidding the erection of conservatories beyond the front threshold of your house facing the road. Not extend beyond the rear wall of the original house by more than three meters of an attached house or by four of a detached house. Maximum eaves height should be no higher than the eaves of the existing house. The highest part of the conservatory (including cresting and finials) should be no higher than the roof ridge line of the existing house. If your conservatory is within two meters of the property boundary, maximum eaves height should be no higher than 3 meters to be considered permitted development. The finishing details are all-important and can make all the difference between success and failure of an application. Great care must be taken when choosing cresting's and finials, these are the decorative architectural devices seen on the roof of a conservatory. The finial is the pointed feature at the front of the apex and the cresting is the piece running along the ridge of the roof. There are specific designs that accompany different periods of architecture and you would not want an application to be rejected on the basis of a simple architectural faux pas on the roof. It would be significantly cheaper to submit a planning application for your conservatory with plans specifically designed in accordance with current conservation rules, rather than simply submit an architect’s plans that may be rejected forcing you to have them heavily revised, significantly adding to your costs. At Drawing and Planning, our consultants have extensive knowledge and expertise in the numerous and varying planning Articles, Directions and restrictions of all that relate to conservatories. Our team of consultants would be glad to assist you with any query you may have regarding your conservatory. Should you need conservatory planning permission, we would be glad to assist you with all elements of your application. If you would require drawing only, our in house architects can provide you with detailed existing and proposed drawings for all types of conservatories. When you choose to add a conservatory to your residence, this addiction will greatly increase the amount of living space in your home. You do not require planning permission for conservatories as long as you stay in the building recommendations for these outside enclosed areas. There are many people that tend to ask do I need planning permission for a conservatory, the answer to that question is no, as long as you stay within the building requirements for one of these attached units. When building one of these attached units onto a residence, it is important that the conservatory is a single story living space, does not exceed 4m, does not possess a width that is larger than the width of the residence it is being attached to, and it does not exceed fifty percent of the total amount of land that encircles the residence. The addition should also not extend further than the rear wall of the original structure that it is being connected to. If you have any further questions about building one of these enclosed living spaces onto your current residence it is vital that you review over the permitted development for conservatories in order to ensure that you will not require any planning permissions for the infrastructure.